This week we honor the anniversaries of two fallen Calcasieu Parish Sheriff’s Office Deputies. The 5 year anniversary of fallen Deputy Randall Benoit and the 10 year anniversary of fallen Deputy Alan Inzer, who were both killed in the line of duty. 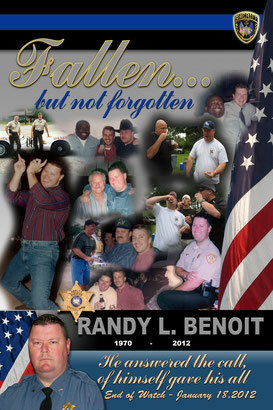 Deputy Randall L. Benoit served 18 years with the CPSO before he died as a result of his injuries sustained in a head-on collision in Sulphur when a car crossed the center line and struck Benoit's patrol car. 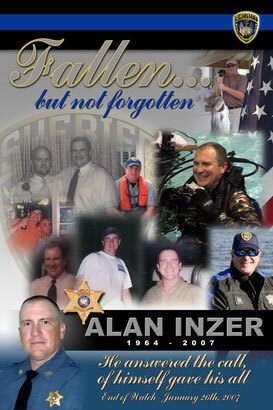 Deputy Alan Inzer was shot and killed during a foot pursuit of several armed burglary suspects. He had served with the CPSO for 17 years.